Echo Beach was written by Mark Gane, from the Canadian new wave band - Martha and the Muffins. Released: 1980 from the album Metro Music . Please Note: These chords can be played in a variety of ways with a blend of open and barre chords for player comfort. Original Line-Up: David Millar (guitar), Mark Gane(guitar), Martha Johnson (lead vocals, keyboards), Carl Finkle (bass) and Tim Gane (drums). 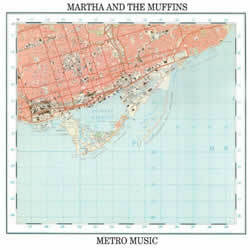 Martha and the Muffins chords and lyrics are property and copyright of their owners. "Echo Beach" chords and lyrics are provided for educational purposes and personal use only.